THE WOODLANDS, Texas, October 22, 2014: With construction of its newest communities, Avanti at Towne Lake, Avanti at Flower Mound and Avanti at Vision Park, about to begin or already underway, Avanti Senior Living is employing an innovative approach to redefine the look and feel of an assisted living and memory care community. 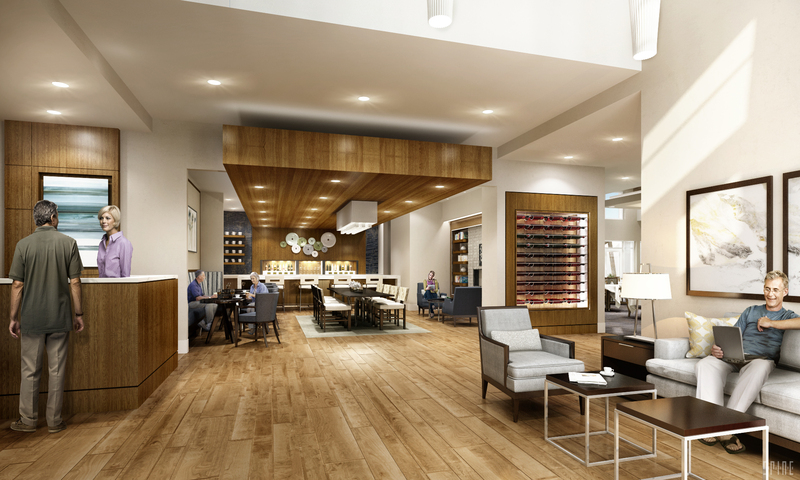 Avanti founders, CEO Tim Hekker and COO Lori Juneau-Alford, are leveraging their 50-plus years of senior living experience along with the expertise of PRDG, a leading senior housing architectural firm, to bring their unique vision to life. Avanti is creating communities that exceed the needs and expectations of future residents, their family members and the team members who will serve them. Avanti senior living communities will be sophisticated and luxurious in design, much like a refined, boutique-style hotel. The design projects timeless hospitality and emphasizes a relaxed and uplifting culture. The layout of the community will give the residents easy access to various destinations, including a state-of-the-art wellness center with a ballet bar and fitness equipment, a theater and a full service salon and spa offering relaxation therapy, aromatherapy, deep tissue massage, hair styling and manicures/pedicures. The medical suite will feature designated areas for visiting doctors or utilize the telehealth technology, along with a private exam room where medical personnel can meet with the residents. A fully-functional art studio with high ceilings and a stone wall for the residents to display artwork will evoke a cultured, stimulating ambiance that promotes the residents’ imagination and creative spirit in a space that provides a positive sensory experience. Each community will provide 90-150 one and two-bedroom spacious suites that maximize living space. The suites will boast posh carpets, wood flooring, expansive windows, walk-in-closets, oversized showers, stone countertops, upgraded finishing on plumbing, appliances, and other household features, expansive counter space and storage space, and other signature features. Avanti’s goal is to combine luxurious finishes with high functionality and safety. Cutting-edge technology is a key component of the design as well. Avanti will systematically place device charging stations and outlets in common areas to ensure that residents and guests can conveniently charge their Avanti customized electronic device. In addition, the RFID keyless entries will allow residents to enter and exit their suites without worrying about carrying their keys. Avanti’s memory care, called Salize, will create a climate that is conducive to serenity at every level. This area is purposefully designed with open spaces, short, easy-to-see walkways and an abundance of natural light, so residents do not feel overwhelmed or challenged by hidden corridors. The simulated lighting helps cue residents to phases of the day and highlights common household areas. In their specialized memory care neighborhood, residents will have their own dining area, theater, salon and other amenities. Avanti Senior Living owns, develops and operates senior living communities. Avanti was launched in 2013 and is committed to redefining senior housing through forward-thinking design, inspiring and innovative culture and state-of-the-art technology. The company is based in The Woodlands, Texas. CEO Tim Hekker and COO Lori Juneau-Alford founded the company with their combined 50-plus years of experience. Avanti’s vision focuses on creating a culture that emphasizes personal choice and control to preserve resident dignity, while delivering world-class care and support and inspirational experiences. Avanti senior living communities will initially be built in Texas, Florida and Louisiana. Then, the company will move into other markets nationwide. Each community will have 90-150 one and two- bedroom suites. Their vision is to fundamentally redefine the customer service experience for assisted living and memory care by providing a quality of life that embraces a holistic lifestyle filled with choice. Each Avanti community features resort-style activities and entertainment options boasting a stylish design, five beautiful courtyards, a true art studio, an exercise room with a ballet bar, a theater and a full-service salon and spa, a nail bar and hair services and multiple destination locations.